So I haven’t written a blog post in way too long, but I figured Star Wars Day (and my birthday) are perfect enough reasons to get back over here. 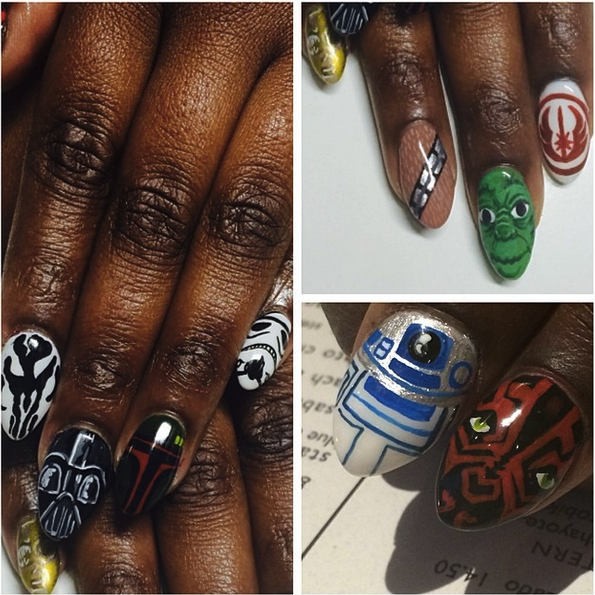 I’ve been stepping up my nail art game each year for my birthday…and by ‘stepping up’ I mean paying someone more talented to do it for me…and i am officially obsessed with this year’s Star Wars nail art! 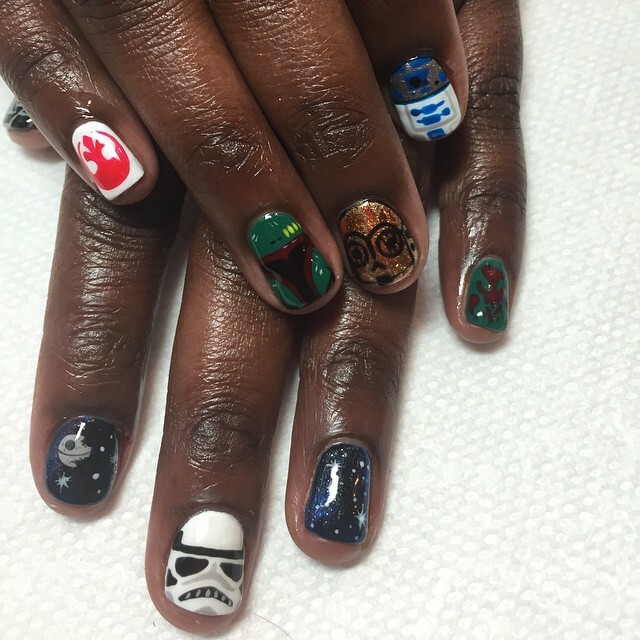 I gave artist Fleury Rose of Tomahawk Salon creative reign over my nail art, so long as it included Boba Fett and R2D2 and she rocked it! Since Boba Fett is one of my favorite Star Wars characters I went in thinking that nail would be my favorite, but as she got more into the details for each little work of art that thought became increasingly difficult to stick to. The perfect little death star, the stormtroopers mouthpiece, the gold foil on C3PO and everything that is R2-D2 all make me wish I could keep these on forever! She did suggest I do a gel mani, which I thankfully obliged to, so at the very least this will last for a good long while. I have to say though, I’m already sad for the day I have to soak these off! I did watch her do those two galaxy nails and part of me is confident I can recreate those (kind of), so when I take these off that’s definitely the next thing I’ll be trying! And just for a look back in time, here’s my nail art for the past two years. 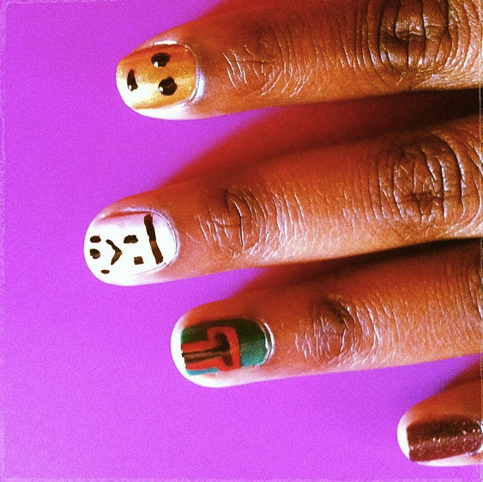 One of which was done by nail artists Ami Vega, and the other done by yours truly…bet you can’t tell who did what!